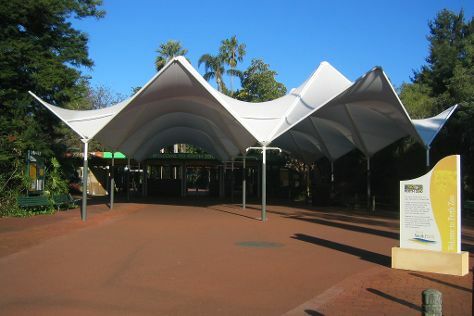 Kids will appreciate attractions like Perth Zoo and Adventure World Perth Australia. Explore the numerous day-trip ideas around Perth: Fremantle Markets (in Fremantle), Caversham Wildlife Park (in Whiteman) and Dolphin & Whale Watching (in Mandurah). Dedicate the 18th (Tue) to wine at some of the top wineries in the area. On the 20th (Thu), give your taste buds a day to remember with a local gastronomic tour. Next up on the itinerary: take in nature's colorful creations at Kings Park & Botanic Garden, appreciate the history behind Kings Park War Memorial, snap pictures at Elizabeth Quay, and take in panoramic vistas at Yagan Square. For more things to do, maps, ratings, and more tourist information, read our Perth driving holiday planner . If you are flying in from Singapore, the closest major airport is Perth International Airport. In June, plan for daily highs up to 23°C, and evening lows to 9°C. Finish your sightseeing early on the 20th (Thu) to allow enough time to travel back home.